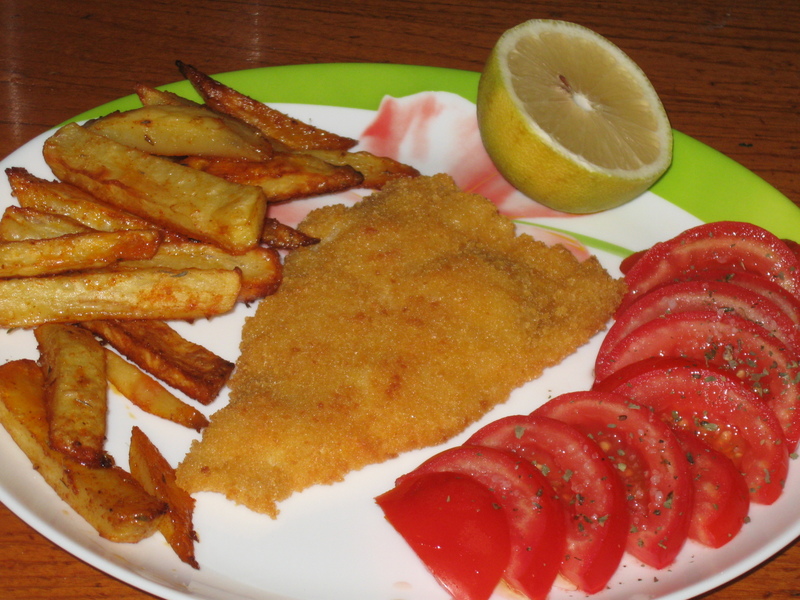 This sole schnitzel dish is especially delicious and a classic for children who are not big fans of fish - and we all know how important it is that they eat fish! There is no doubt that Sole Schnitzel is a dish for the whole family. It's cheap, easy to make and is delicious for everyone. 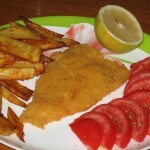 Sole Schnitzel is exactly like a normal schnitzel - only with fish! Wash all the fish in water thoroughly. Organise in 3 bowls, 1 with flour mixed with a bit of salt and pepper, 1 with fresh eggwhisked well and 1 bowl with a third of the breadcrumbs. Now work in a conveyor belt method. Cover the sole fillets in flour, from all the sides. Transfer to a plate - and so on until all the fish are covered. Heat half cm layer of canola oil in a large skillet. Fish fry on both sides all around - 3 minutes (until golden) and place on the paper towels. It's ready. Serve with chips or baked potatoes, lemon wedges, and of course - a nice pile of vegetables.